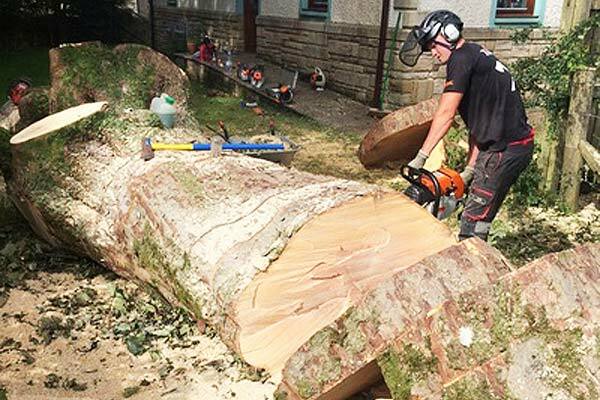 We are professional tree surgeons based in Edinburgh and offer a variety of tree services and one of these is Tree Felling and Removal. This maybe needed if the tree is diseased, result of storm damage or it`s position as it has grown has now become an issue. 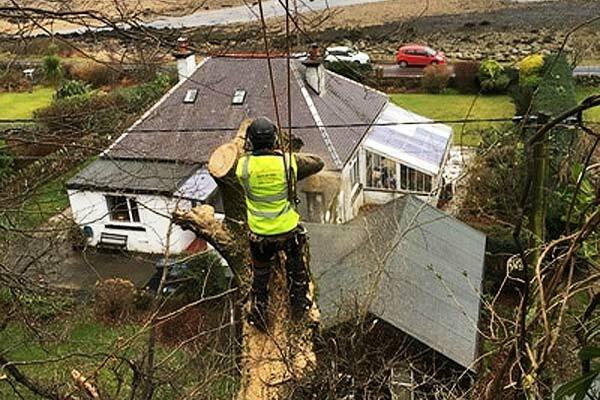 If the tree has suffered from storm damage then sometimes some effective pruning maybe all that is needed, but if the damage is so great or critical then the whole tree has to be removed often because of safety grounds which could affect surrounding buildings or passers by. Another common reason we encounter is that as the tree has grown over time the roots have become a problem to the foundations of the surrounding building or buildings and subsidence can occur which could be costly. Willow Trees can be one such tree that are a common culprit for causing subsidence and excessive moisture consumption from tall trees in clay soil can be a major cause of subsidence too. Oaks, Poplars and Horse Chestnut trees can causes problems for properties if located too near and felling maybe the only solution to solve the problem. The 3Ds can be the reason also to fell a tree: Dead, Diseased or just plain Dangerous. 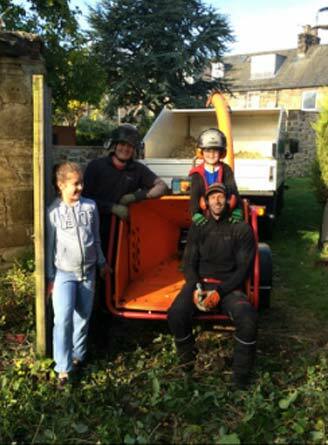 We have a vast experience in Felling Trees over the years and we will survey the area first to establish the best course of action and if pruning just won`t do, then cutting down the trees in question safely will be the next course of action, but only in a way that limits or avoids any damage to the surrounding area. When it comes to Felling Trees. Tree Preservation Orders or TPO,s may have a bearing on what has to be done and if the client lives in such a conservation area then permission from the relevant local authority will have to be granted before the tree can be removed and a replacement tree maybe needed to put in it`s place before any action can be taken. We can advise and prepare any applications that needs to be done. Please call us on 07952 046494 for a no obligation free consultation today! Thank you for a job well done by Stevie & the boys. A tricky job is understated when I say that you succeeded in removing 3 massive difficult trees. The skills that you & your team demonstrated was first class. I would have no hesitation in recommending you & the team, however,make sure you have plenty of herbal tea & plenty chocolate cake. Stevie and Cameron from Special Branch Scotland done a fantastic job of removing some large limbs and pruning two very large horse chestnut trees in our garden. The job was complicated by the trees being protected and in a conservation area but Stevie made numerous visits to look at the trees and offered lots of free advice before we even agreed for them to do the work. Some large and very heavy limbs were situated above our house so required expert removal and careful lowering to the ground. These guys are very knowledgeable, professional and friendly and I would highly recommend them to anyone requiring tree work. 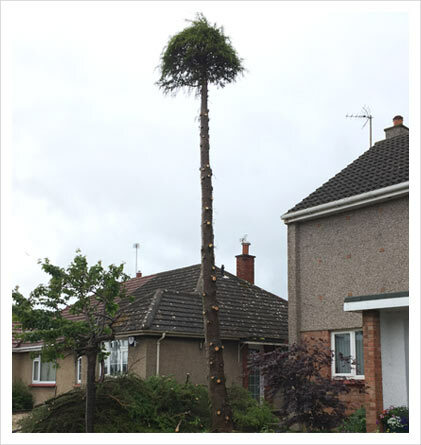 We at Special Branch Scotland can offer professional maintenance or removal tree services for our clients carried out by well trained and professional arborists.